Specialise in the design, manufacture and support of dependable, durable, and affordable portable generators, inverters, log splitters, pressure washers transfer pumps, and winches. 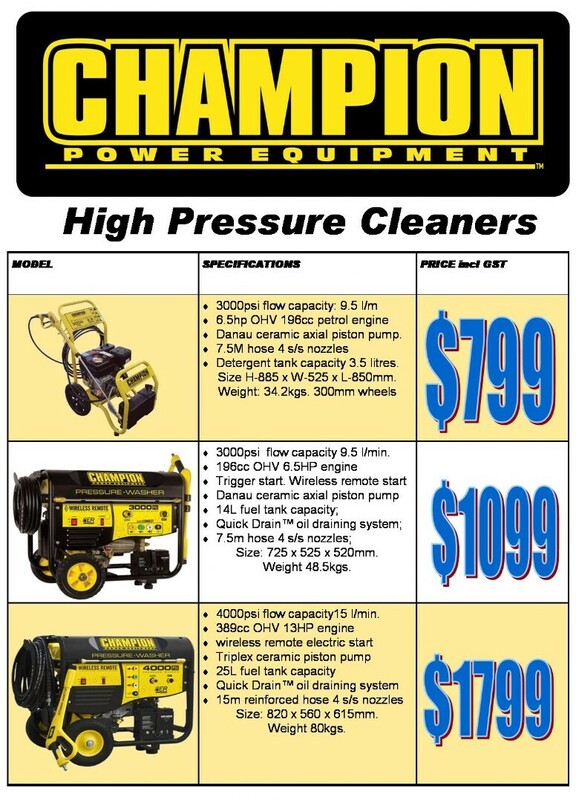 Champion Power Equipment is a US owned and operated company with manufacturing facilities in China. They stand head and shoulders above their competitors by their commitment to quality throughout the engineering, quality assurance, manufacturing and customer service processes.